"High mountains are worth the quality of those men who climb them, otherwise they wouldn’t be other than a pile of rocks." 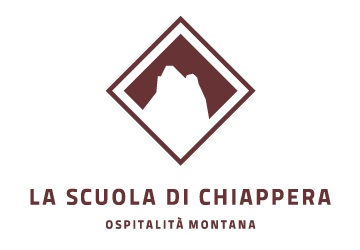 The air of Chiappera has that typical crisp and revitalizing flavor in those instants that precede the sunset at 1.600 m above sea level. Chiappera, a hamlet of the Acceglio municipality, in the province of Cuneo, amazes everybody, invites them to breathe some fresh air and proposes the boldest visitors a regenerating walk on mountain tracks to reach pure tops or to feel a blow of French air after crossing the nearby border. Chiappera is the hamlet which forces the long Maira valley to its north-west limit. The latter is one of the valleys near Cuneo belonging to the wide Occitan area which stretches from the north-west part of Italy to Spain; it has a typical wild and untouched appearance that seems to be remained the same during the last decades. Hamlet, a term which technically represents the minimum entity used to define an inhabited area, encloses in itself the immensity of a small cooperative and traditionalist population, happy but mysterious and open-minded. The nature here dominates with its great background, shaped by ancient glaciers which have created through the centuries lakes, rivers and wonderful waterfalls like the ones of Stroppia, but most of all tops that exceed 3.000 m of altitude: Sautron, Chambeyron alpine group and Maniglia. Among them the unbelievable quartz-spur of the Castello-Provenzale alpine group distinguishes itself and gets stormed by climbers. The Castello-Provenzale alpine group has been defined as a Dolomiti-corner in Piedmont.